However, the limited compatibility does not seem to have affected the sales of the 360 consoles for very long. However, the 360 was only Microsoft’s second foray into console gaming. Sony was lauded for allowing consumers to continue playing their original Playstation games when the PS2 was first released, and the backwards-compatibility was another big feature in the PS3. Recently, Nintendo has been very good about providing backwards-compatibility (at least one generation back) on all of their gaming machines. Until the Nintendo DS was released, gamers could continue to play all of their old portable Nintendo games (all the way back to the original Tetris cartridge that was packaged with the initial release of the Gameboy handheld) on any “Gameboy” device. Even with the Nintendo DS, although old Gameboy and Gameboy Color games were no longer compatible, the Gameboy Advance titles still worked extremely well. The Wii still plays all Gamecube games extremely well, allowing gamers to continue playing all of their favorite multi-player GC games when friends visit. However, with the world of officially emulated games (Xbox Live, Wii’s Virtual Console, etc.) progressing at an amazing rate with large catalogs of great classic games available, and with gamers progressively wanting the latest and greatest games, I wonder if gamers will even notice that they can’t play their PS2 games anymore. The main reason behind gamers being so adamant about backwards-compatibility is the cost of upgrading their collection of games. With new PS3 games still running ~$60 each, a gamer’s collection is bound to take a while to rebuild for the new console. 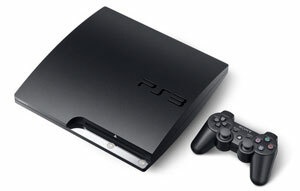 However, the PS3 has been out long enough that there should be quite a few “classic” and used PS3 games available at discount prices that the backwards-compatibility most likely won’t be nearly as important as it was when the console was first released. It will be interesting to see if this move on Sony’s part helps Sony catch up in the console wars. Image courtesy of Yahoo! Plugged In.